Sharing another instagram round-up today with all of my outfit details from the last week! Plus, there are so many good spring sales going on right now, so there’s a full list + my picks from the sales at the bottom of this post. Happy Saturday! These jeans are under $50 and the perfect casual denim for everyday! This knit LS top is super comfy and under $40! 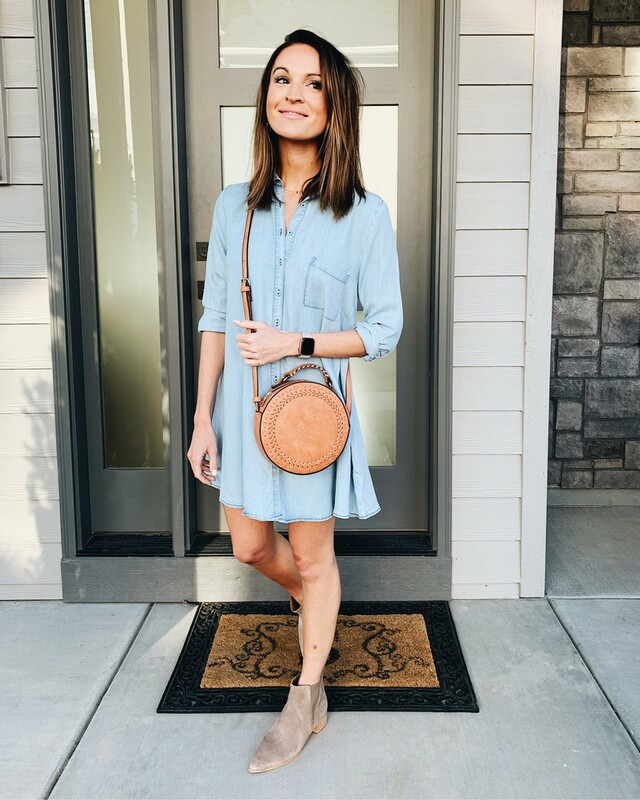 Could not be more in love with this chambray dress! It’s super soft and doesn’t wrinkle! 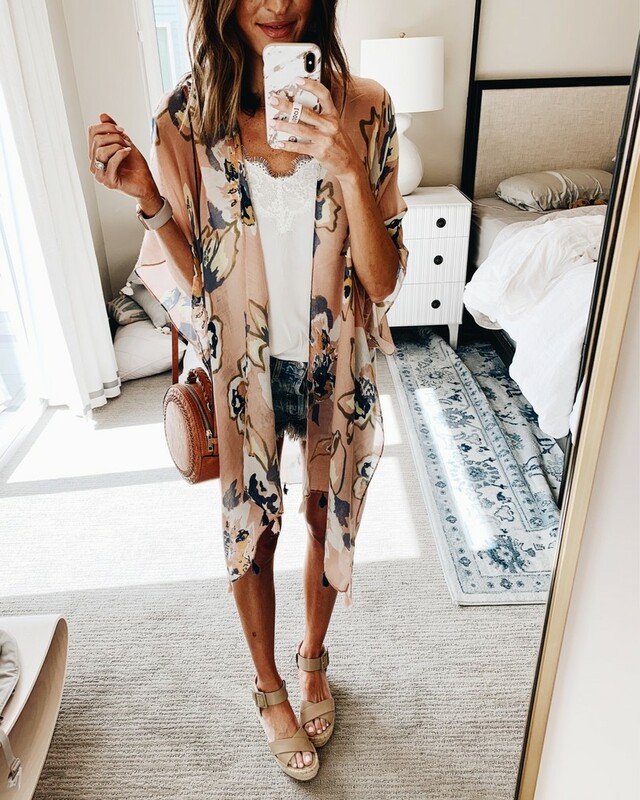 So obsessed with kimonos for spring! This exact one is sold out, but I’ve linked some similar options. These platform espadrilles are such a great go-to for spring and summer! How fun are these olive pants?! Such a cute look for spring and they’re also a great price! This button top is insanely soft and on sale right now for under $30! Also have totally fallen in love with these sole society slides. They’re under $100 and go with everything! Hands down the BEST thermal ever and it’s on sale for under $40 right now! These jeans also have the best fit and such a fun distressed look to them. One of the most flattering workout sets + the material feels SO good! 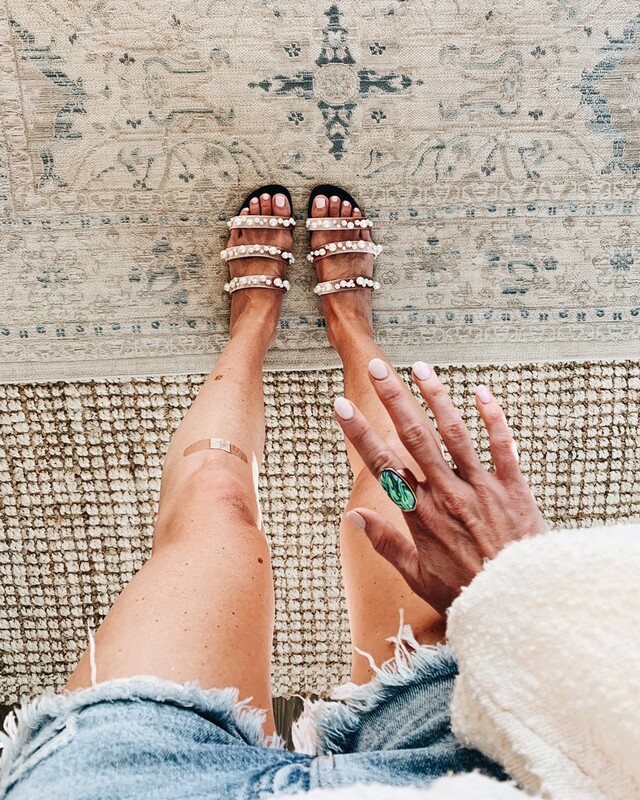 These are probably my new favorite summer sandals! So adorable and under $70! « cuvee recap + dream vacation in beaver creek!